If, like millions of us, reality TV is something of a guilty pleasure and a chance to switch off from the outside world, then you will have been glued to Celebrity Big Brother over the past few weeks. However, this series has been a little different for us here at Farjo as we watched former patient Shaun Williamson entertain viewers and housemates until his ‘back door eviction’ last night. 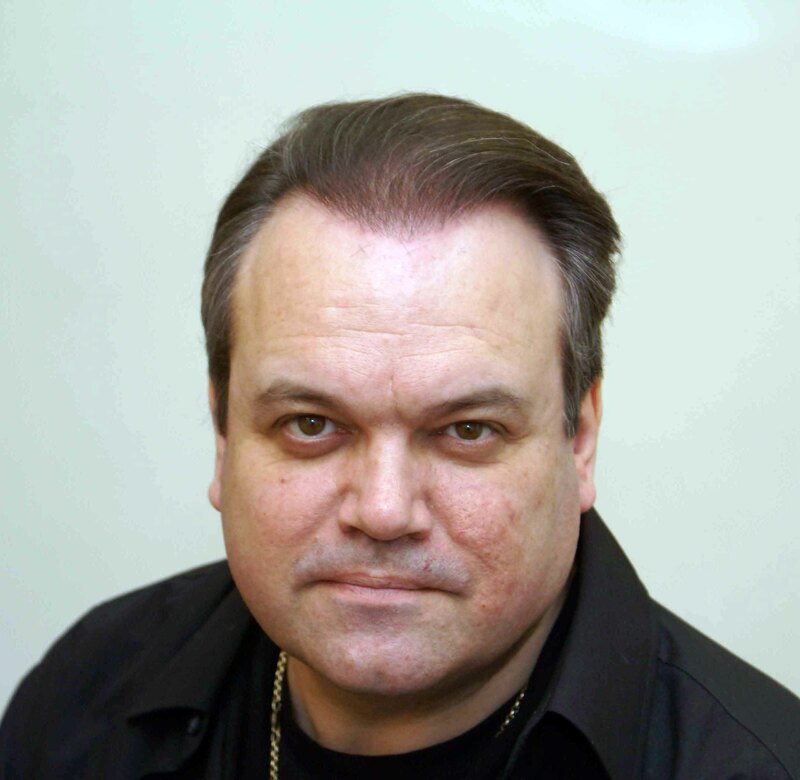 Better known as unlucky-in-love Barry Evans from Eastenders back in the early noughties, Shaun turned to the Farjo Hair Institute for a hair transplant in 2004. Having been contracted to remain bald and overweight (yes, really! ), he was desperate to regain his self-esteem and revive his career upon exiting the soap. We carried out a strip follicular unit transplantation (FUT) on Shaun, involving 3,400 grafts due to the extent of his hair loss. The procedure took place over two sessions and involved taking root hairs from a liner area towards the back of the scalp. This technique leaves a fine, seamless scar, which is very difficult to detect, even among those with shorter hair. FUT was the most common method of hair transplants at the time, and still is very popular today especially for people who don’t wish to shave their hair beforehand, a usual requirement for the other type of hair transplant we offer, follicular unit extraction (FUE). Shaun certainly isn’t alone in turning to hair transplant surgery to boost confidence. We meet both men and women every day whose hair loss has been bothering them for years, but felt they’d be perceived as ‘vain’ or ‘shallow’ for undergoing surgery. However, many of them will describe how looking in the mirror at themselves each day causes upset and distress, especially as they desperately try to fix the problem by experimenting with different hairstyles. Following Shaun’s surgery, he spoke of his delight at the results and went on to secure numerous television and film roles, including Ricky Gervais’ Extras. Of course, we can’t promise you a starring role in the next big comedy sketch show or a spot on next year’s Big Brother, but we can promise an honest chat about your various hair loss treatment options!